$83.95 Seen a lower price? 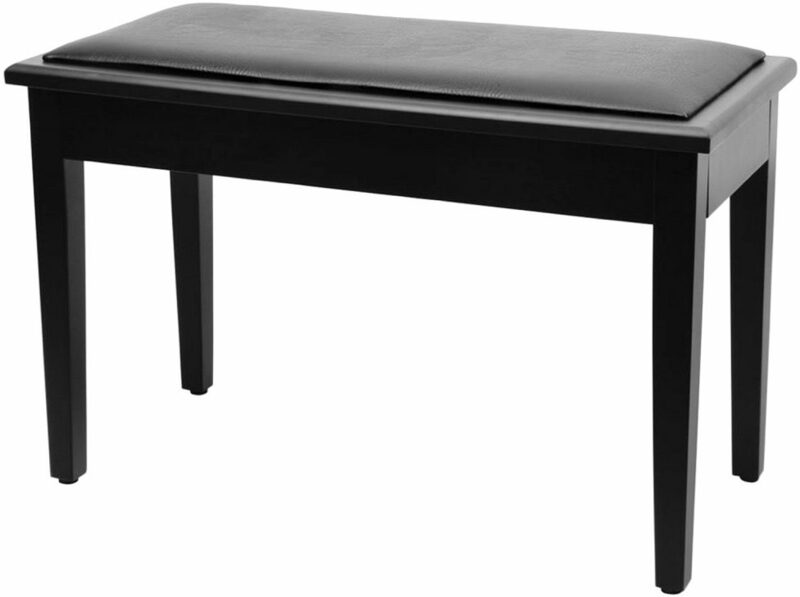 A beautiful black satin finish and smooth soft vinyl give this affordable bench a classic look. The hinged cushioned seat lifts to reveal a large compartment for sheet music, metronomes, and accessories. Interior lining protects contents and prevents them from shifting. A locking arm holds the bench open to make storing or removing items easy. 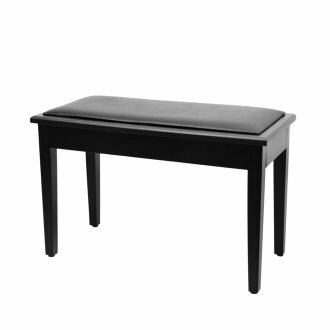 Solid wood legs and 1" padding provide a strong, comfortable, and steady base. - Durable, quality wood construction. Thick padded seat and flip-top storage. Black finish, black vinyl. Height: 19.5", 240 lb. capacity. - Flip-top storage unit great for sheet music, metronomes, pencils, etc. - Weight Capacity: 240 lbs. - Bench Seat Size: 13.5" x 29.5"